FREDERICTON – Premier David Alward met with public servants today to provide an update on progress made in the last year in the area of government renewal and to outline next steps. "Government renewal is about rebuilding the relationship between the people, their government and the public sector that serves them both," Alward said. "Increasing efficiency and accountability, streamlining administration, adopting better business practices and making continuous improvements toward our goals are the right things to do regardless of New Brunswick's current financial situation." ● measuring and continually improving government performance. Since launching the renewal process in March 2011, the provincial government has considered more than 300 proposals to streamline administration and deliver services more efficiently. "New Brunswickers have told us they want us to deliver services in a more efficient and effective way,” said Alward. “Much has been accomplished and much remains to be done. Together, we are changing the culture of government. 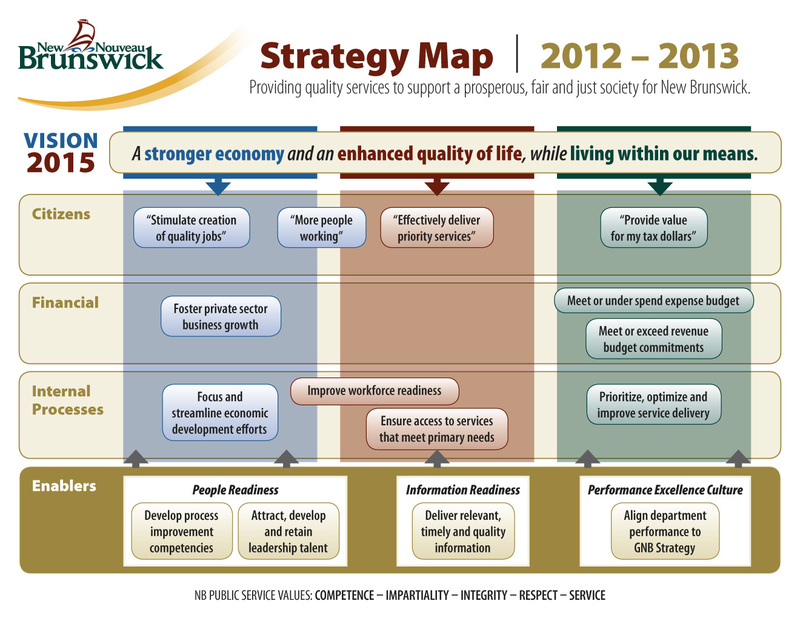 It is a cultural shift that marks the beginning of a new relationship between New Brunswickers and the public service."